Addis Ababa York (HAN) May 5, 2014. Ethiopia is ready to embrace a new wave of Chinese industrial transfers to enhance its manufacturing and industrialization, which are vital to the African country’s sustainable development, Ethiopia’s president said. 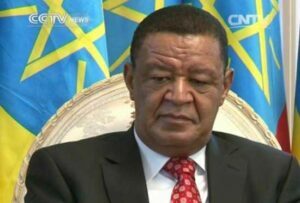 Mulatu Teshome said his country is ready to receive any industries’ relocations from China to advance both nations’ development. “Ethiopia has become one of the biggest recipients of textile industry relocation in Africa, and it is going to continue,” he said. He made the remarks in a joint interview in the Ethiopian capital Addis Ababa earlier this week, ahead of the visit of Premier Li Keqiang, who will undertake his first Africa tour since taking office last year. Teshome said Ethiopia has a culture and tradition of accommodating and ensuring the success of foreign direct investment through competent policies. “We consider that if any serious investment fails in Ethiopia, then it is not the investor who failed but the country,” he added. He also said the high-level visits by Chinese leaders reflect the friendship between the two countries, based on trust, understanding and respect. With their growing economic interdependence, Ethiopia and China are further strengthening bilateral relations through political, cultural and education exchanges as well as through technical assistance, he said. “Ethiopia is benefiting from these bilateral relations in the aspect of the transfer of technology and know-how. And China is considered Ethiopia’s strategic development partner. 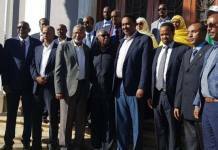 The economic interdependence between our two countries is also growing,” Teshome added. He also refuted Western rhetoric that claims China is dominating Africa to exploit the continent’s cheap raw materials and natural resources. 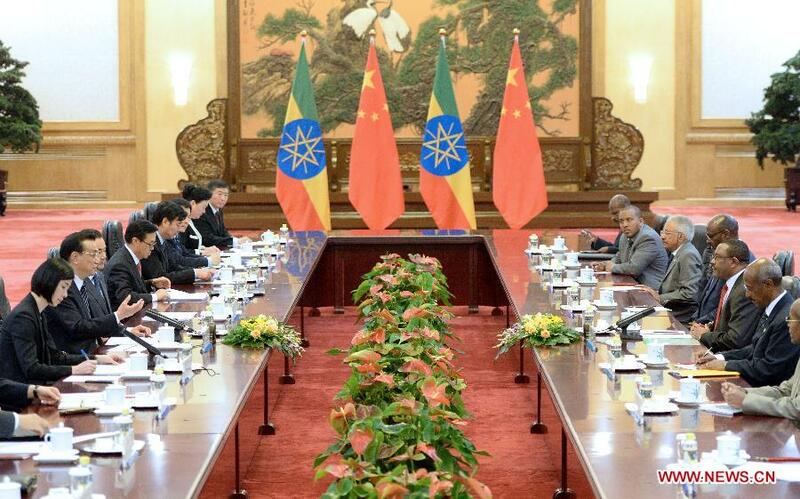 He said the relationship between China and Ethiopia has been robust despite Ethiopia’s lack of mineral manufacturing or resource production. “The political rhetoric that China is out to grab African land and African resources – I don’t buy it,” he said. He pointed to the infrastructure sector as an example. It is Chinese companies with financial assistance from their homeland’s government that are undertaking most of the projects vital to Ethiopia’s industrialization. China is also ready to encourage more Chinese investors and entrepreneurs to invest in Ethiopia, Chinese ambassador to Ethiopia and the African Union Xie Xiaoyan said in a news conference in Addis Ababa later on Wednesday. “I believe the visit of Premier Li Keqiang will give a big impetus for this joint effort,” he said.